So what is stress and how can we go about dealing with it? Although most people know what it feels like to feel stressed it’s not easy to identify precisely what being stressed means. It can be regarded as our reaction to being placed under pressure and the feelings we get when it is difficult to cope with the demands or work or life situations. Stress is a normal part of life but if you become overwhelmed by stress then this can potentially lead to mental health issues like anxiety or depression. 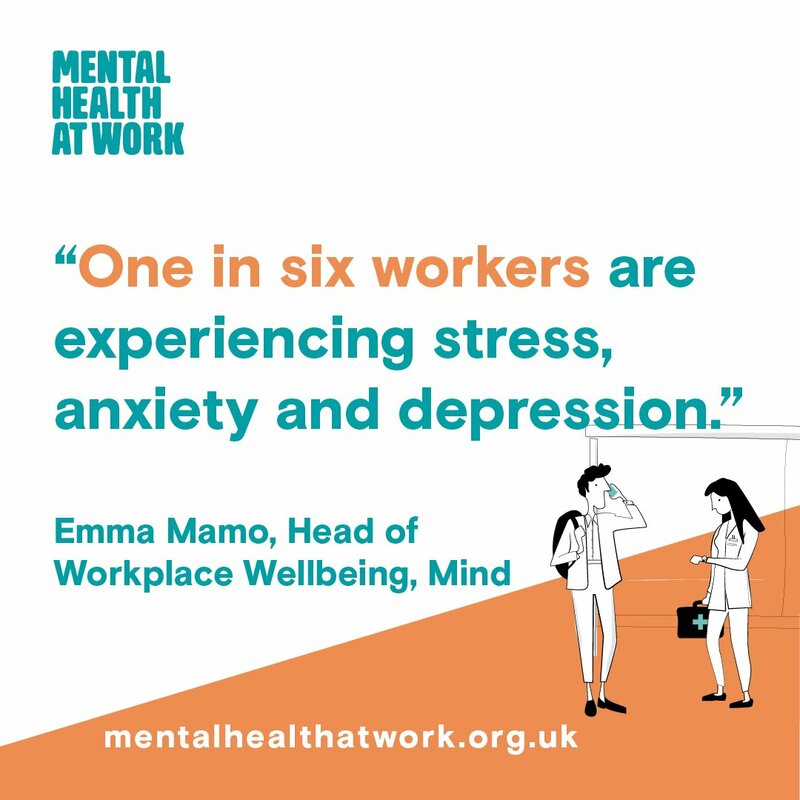 Even though there are likely to be many things happening in your life that you are unable to control, there are, according to work done by Mind and others (Mental Health at Work Gateway of resources1 https://www.mentalhealthatwork.org.uk/ ), generally a number of steps you can take to manage the amount of pressure and stress that you are under day-to-day in the workplace. You can then begin to think about what you can change to manage them. For example, you might have an unrealistically heavy workload or you might have frequent or unrealistic deadlines to meet. You need to take some time to reflect on work and other aspects of your life to arrive at a better understanding what triggers unhealthy levels of stress. This might involve talking to friends and family or seeking professional help. Make adjustments to how you plan and organise your tasks as this could help you feel more in control of tasks you are facing. If people are making unreasonable or unrealistic demands on you, be prepared to tell them how you feel. Arrange tasks in order of importance and try to focus on the most urgent first. Deadlines are often the biggest causes of stress in the workplace, try to plan ahead and organise your work schedule accordingly.
. Try not to worry that talking to your manager or colleagues about stress will be seen as a sign of weakness. Your wellbeing is important and responsible employers will take it seriously. Talking about the difficulties you’re experiencing is by no means admitting defeat – it’s better than pretending everything’s fine when it’s not. Find an activity or a hobby that’s completely different from the things causing you stress. This is a great way to get away from everyday pressures. You may already know what helps you relax, like going for a walk, reading or listening to music. Make sure you set aside time to do it. Try looking at the website www.stressbusting.co.uk for a range of ideas . Physical activity can help reduce stress and help you get some time to yourself to think things over, away from everyday pressures. Sleep is important in managing stress. If you don’t get enough sleep, negative feelings are likely to be exaggerated and you might find you are more irritable and less confident. Eating healthily has a positive impact on your physical and mental health. If you feel like you need some professional support, you can speak to your doctor. They can check your overall health, and help you access treatments. They could also recommend that you take some time off work in appropriate circumstances. 1.) In conjunction with their charity partner, Mind, The Royal Foundation has been developing the Heads Together Workplace Wellbeing Programme, which will deliver much of the help and support recommended by the government-mandated report “Thriving at Work” (Stevenson/Farmer, October 2017). 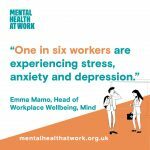 A key element is the Mental Health at Work Gateway of resources https://www.mentalhealthatwork.org.uk/ .